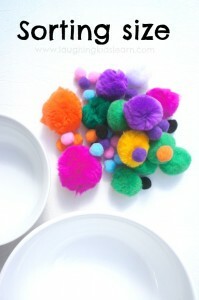 Here is a simple fine motor activity that I think your toddler will really enjoy. 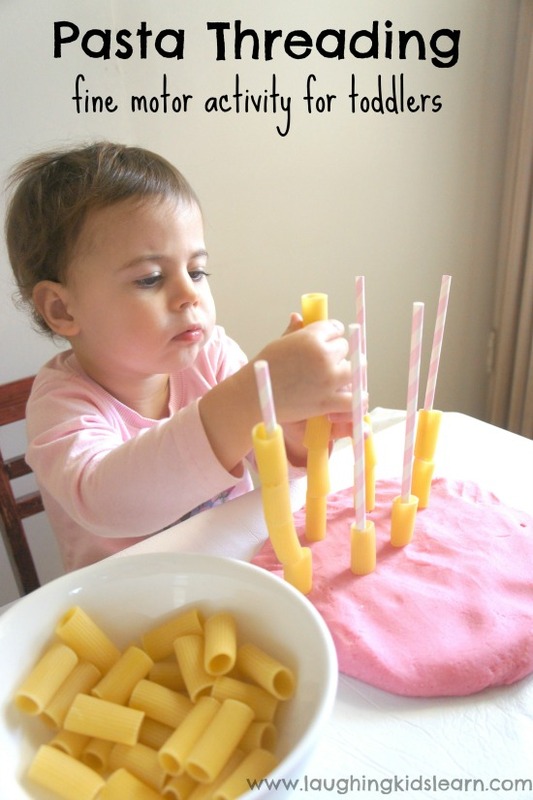 It’s very easy to set up and it involves them threading pasta onto straws, with the support of some freshly made play dough. 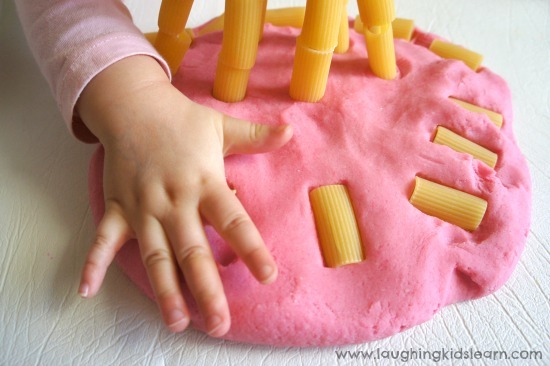 Fine motor skills involves the development of the smaller muscles in the hand. 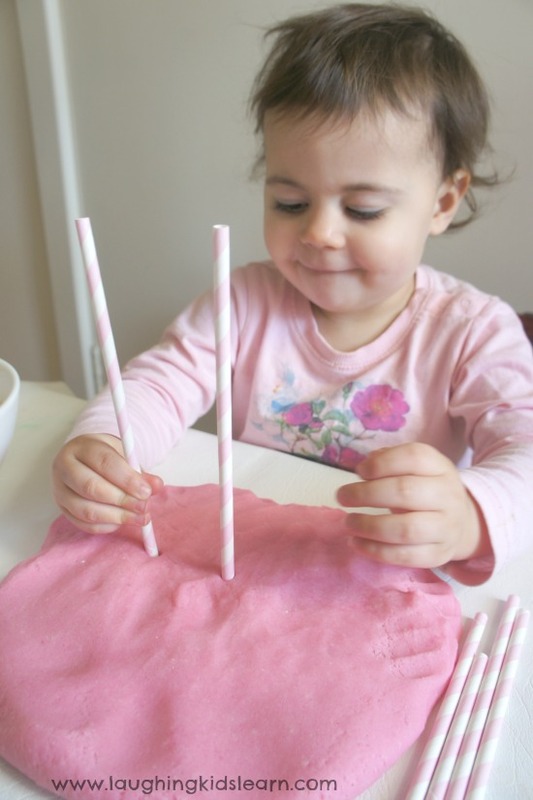 By developing these muscles at a young age, children will be able to go on to complete everyday tasks, such as writing, drawing, cutting with scissors and button fastening. 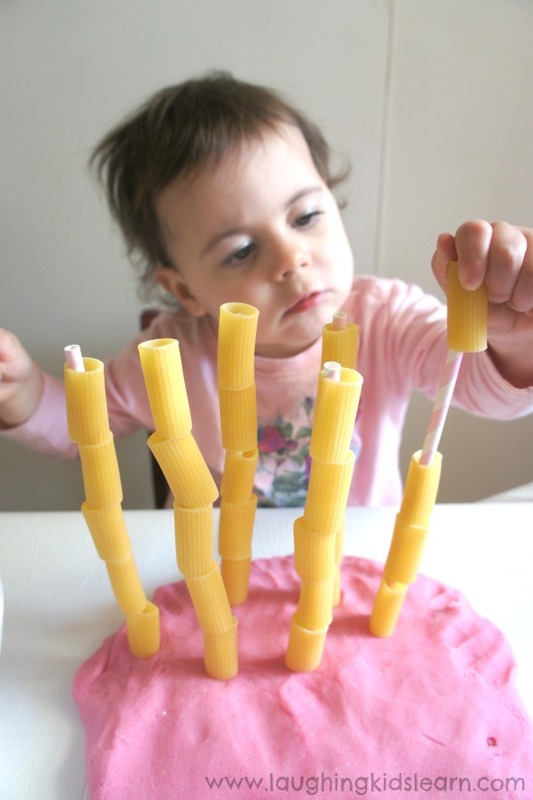 Possum (aged 2.3) had a wonderful time playing and developing those fine motor skills in a way that allowed her to feel a great sense of achievement due to the large size of the pasta used and the stability of the straws in the play dough. 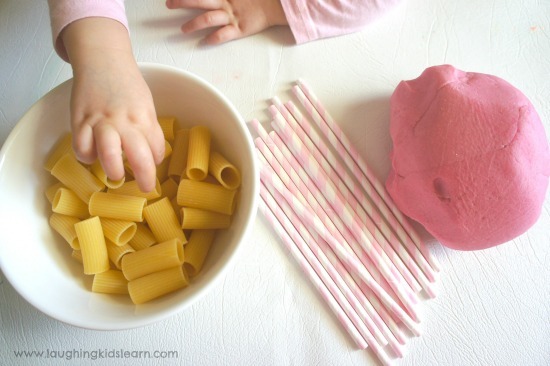 The activity is simple, children poke a small number of straws into the play dough and thread the pasta onto each straw. I chose the large Rigatoni pasta because it caused less room for error and a great staring point for children developing skills. Of course I always encourage active supervision with all my activities, which is no doubt a blessing for you as parents or carer of children. It’s so important to get involved in play. What learning is achieved from this activity? Children gain so much from completing an activity like this. 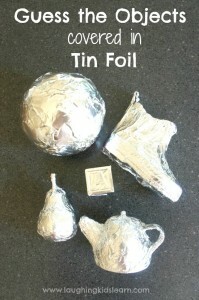 Of course this activity can be easily be modified to suit your child’s individual needs. To simplify the activity, use rings cut from a toilet roll. To challenge, use BBQ skewers and experiment with a wide variety of pasta types that can be threaded. Do you think your toddler would enjoy this type of activity? Wow! What a great idea. Can’t wait to try. I’m so glad to have discovered your page! 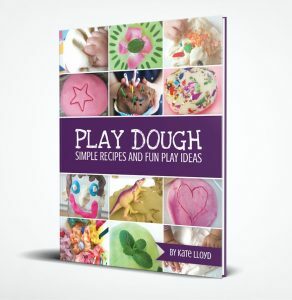 My toddler will love this! Thanks for the idea. 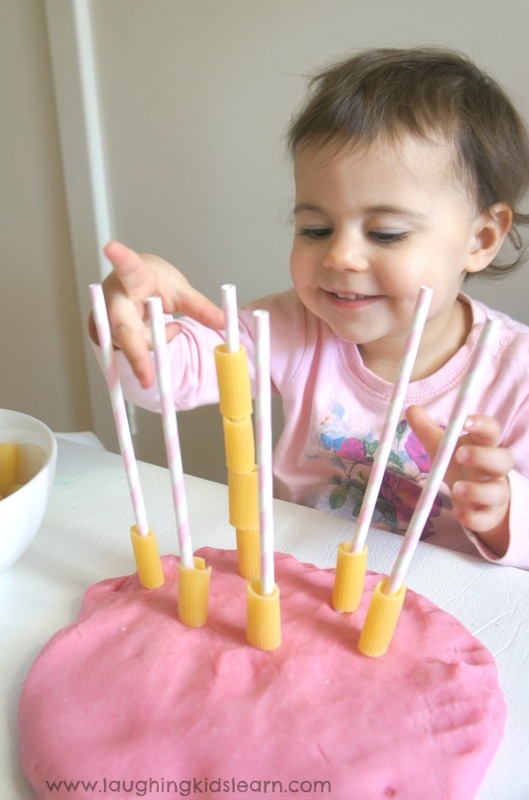 I love that you used straws, which are softer than the skewers I often see for this activity. Hope u r doing well. I just wanted you make crafts for decorating girls room about 10 – 12 year old girl. Hope you have a time. 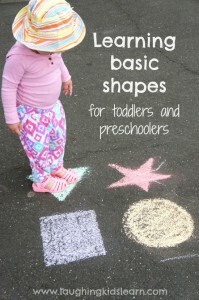 Are there ideas for ages 3-4? Thank for sharing i love this post.I wil bring it to my son. 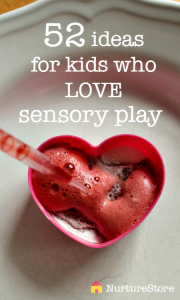 How adorable she is, yeah these loverly games should help in improving motor skills, glad I found this blog.